This delicate sterling necklace has a truely impressive appeal. The classy simple sterling chain measures 23" along with exquisite embelishments. 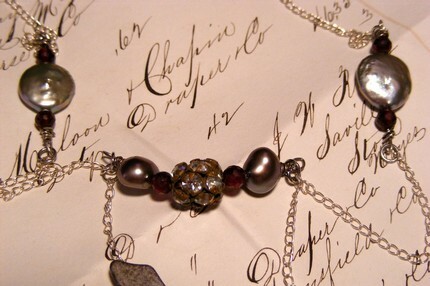 Dazzling silver dollar mother of pearls are accented with lovely garnets. 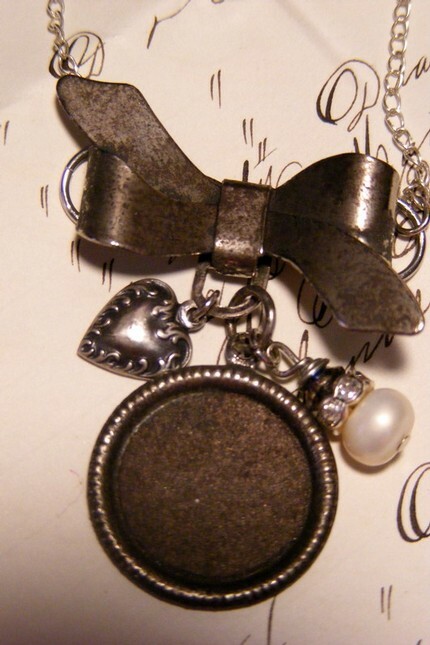 The charming centerpiece is a re-vamped silver tone bow brooch with Vintage heart and mother of pearl embelishments. Floating just above are vintage rhinestone disco ball, mother of pearl and garnets. 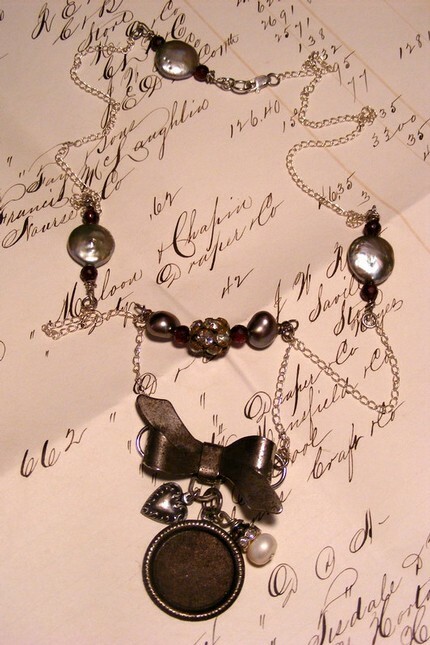 A truely lovely piece to wear everday or with that special black dress. As with all items One of a Kind!